Interim changes are coming to the Local Control Accountability Plan template, but a much larger revision is likely still a few years out. As part of that process, the State Board of Education approved a new LCAP section at its January meeting. The revision is designed to comply with the federal Every Student Succeeds Act’s rules for improving low-performing schools. District with schools targeted for assistance through the California School Dashboard must now verify that each school’s LCAP includes a description of how it identifies, examines and addresses weaknesses and needs in order to improve student outcomes. District officials will maintain local control and accountability by working with the school site council to develop the plan for student achievement. The change takes effect for the 2019-20 school year. An additional modification was made to minimize the duplication of work at the local level. It removes the budget summary portion of the plan summary from the LCAP template, as the same requirements are included in the LCFF Budget Overview for Parents Template. The State Board also discussed how California can streamline the LCAP, eliminate duplication for schools and districts, and ensure it serves as a living and breathing document. “I still think we have a lot of work to do,” said board Vice President Ilene Straus, sharing her perspective as a former district administrator. She said too many people still see the LCAP as a “check the boxes” compliance document rather than an ever-evolving, guiding policy document. Board member Feliza Ortiz-Licon shared similar feedback about the compliance concern, while Ting Sun said “we’re still a ways off” from making the LCAP understandable to stakeholders. Still, retiring board President Michael Kirst said he believes the state has worked hard to make the document more transparent in showing people where the money is going in a district. The California Department of Education is expected to overhaul the LCAP template during the next three years or so. The newest template with the interim changes is now available online. Staff also updated board members on the progress of the state’s relatively new System of Support, as leaders aim to inform local educational agencies about roles and resources available to assist school districts through the county offices of education. Several board members shared concerns about how the system will work to help local educational agencies statewide, as the Dashboard identified 239 LEAs eligible for first-time differentiated assistance this year. “What is the capacity of the county offices to do this work?” asked Patricia Ann Rucker, pointing out those offices may spend most of their time working with lead agencies and professional learning networks. Ortiz-Licon similarly expressed worries about how so few lead agencies will be able to reach all districts. 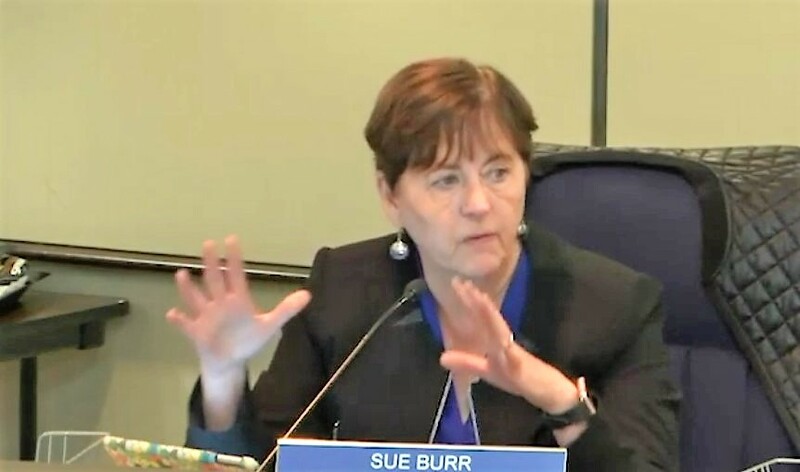 Sue Burr, who also serves as a board member for the California Collaborative for Educational Excellence, said there needs to be some patience to allow the system to take full effect — warning that creating too many lead agencies working with districts in every subject matter leads to a slippery slope. “Honest to god, we’re recreating categorical funds when we’re doing that,” she said. CDE staff agreed, saying much will be learned at a Feb. 12 meeting with CDE and CCEE staff, as well as representatives of the lead agencies. Attending his first board meeting as State Superintendent of Public Instruction, Tony Thurmond thanked departing board members Kirst, Trish Boyd Williams, Karen Valdes and Bruce Holaday for their service and work on the state’s LCFF/LCAP implementation. Calling the present the state’s “go-forward moment,” Thurmond said the board has set up several policies to serve all students but must now see them through. Thurmond, a former West Contra Costa Unified school board member, also acknowledged the difficult and often thankless role the board members have played. “I think that being on a board of education is the hardest job in politics,” the former Assemblymember said. With a large crowd of supporters on hand, the board appointed Lupita Cortez Alcalá as Chief Deputy to the California State Superintendent of Public Instruction. She was then sworn in and will be the first Latina to serve in the position. The board adopted both the California Arts Standards Revisions for PreK-12 and the World Languages Standards Revisions for K-12, which were approved by the Instructional Quality Commission in November. The arts standards focus on all forms (dance, media, music, performing and visual) and will come back to the board in May 2020 as a framework. The same timeline applies for the language standards revision, which aims to create a pathway for each student to become multilingual, develop intercultural competence and become global citizens. An archived video recording of the meeting is available online. The next State Board meeting is scheduled for March 13-14.